Can we just chat about how blessed we have through these #BossLady projects? We try to make it beneficial to everyone involved but I really think we learn the most! 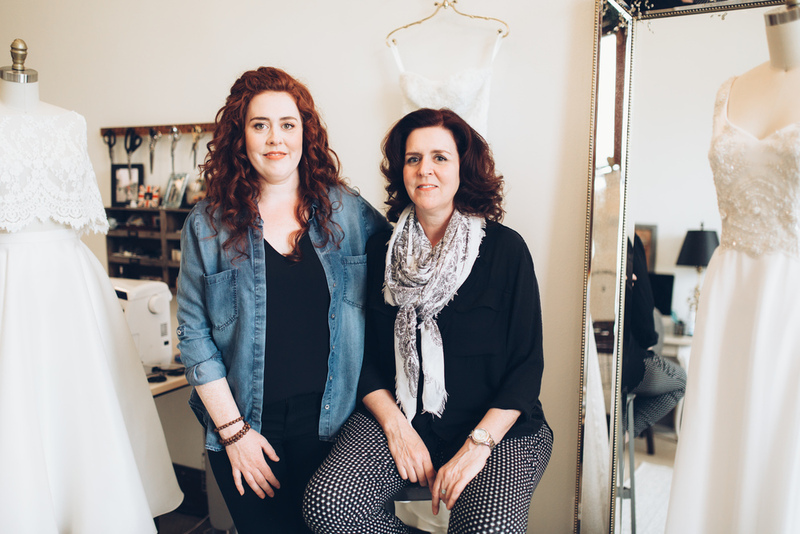 Kathleen and Meghann of Frankie & Maude are the real deal. The whole shebang. They are incredibly intelligent, gracious, creative, and thoughtful. Nothing they do is without meaning. As if working with these ladies wasn't enough, we also had the privilege to work with Kamrin of KNDM Co. for the very first time! This lady has SO MUCH ENERGY. And she didn't even have coffee! Besides her cheery self and her generous heart, she also happens to be ridiculously talented behind the camera. Looking through all these photos pretty much put a permanent smile on our faces. We just love her, and you should too! Women in business, Boss Lady, Wisdom. In sitting down with the Frankie & Maude duo in their (stunning!) studio, we were really struck by what they were saying about working with their clients. Overall goals to accentuate who their brides are, not to change them or cover them up. To really get to know their quirks and the unique traits that their other halves have already fallen in love with. Then in turn translate that knowledge into the perfect gown. These are goals we strive for every single day in our own bridal work. We will never be perfect, but if we can make our brides love themselves as much as their future spouse already does, we will consider our job done properly. Connecting with other creatives who have these same thoughts is a special day indeed. Thank you Kathleen and Mehgann for reiterating why we do what we do so beautifully. 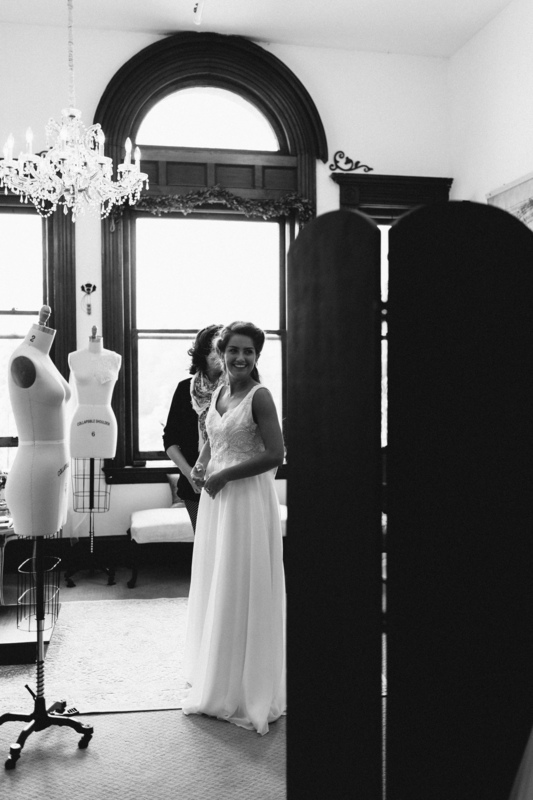 Frankie & Maude is a custom bridal studio located in the amazing Sycamore Square Building in Historic Fairhaven. Our bridal gowns embrace and accentuate the unique beauty in all women. 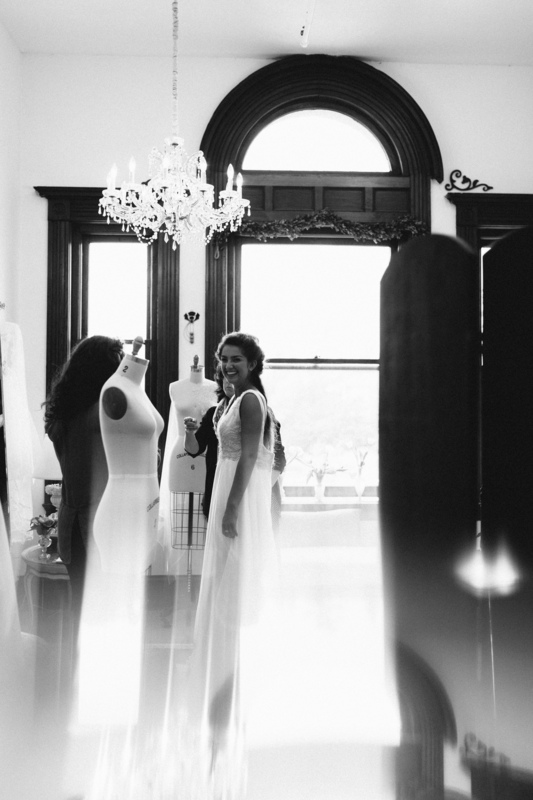 Each gown is individually designed, constructed and fit in our local studio. Frankie & Maude began three years ago. We are a team—mother and daughter. Kathleen (mother) earned her PhD in Modern History in Scotland and taught at Western Washington University for a decade. Meghann (daughter) graduated from university and transitioned into retail/marketing. Our passion for history, culture, and fashion is matched only by our commitment to women. We love a challenge, as well as the opportunity to express our creativity. 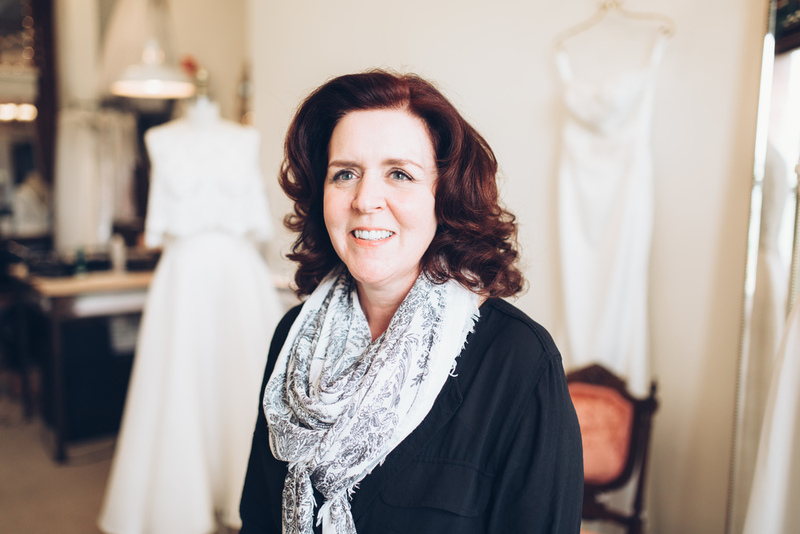 We work closely with women to design bridal attire that captures their distinctive style. 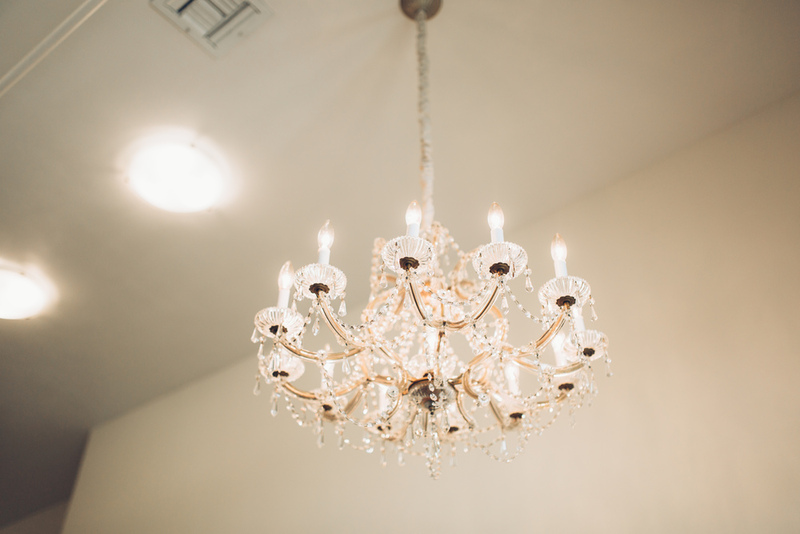 While some have a clear vision for their wedding gown, others look to us for input. Skirt silhouette or volume, neckline depth or lace selection we enjoy working collaboratively with brides to perfect the details. Styling is part of the fun, seeing the elements come together—dress, hair, accessories . 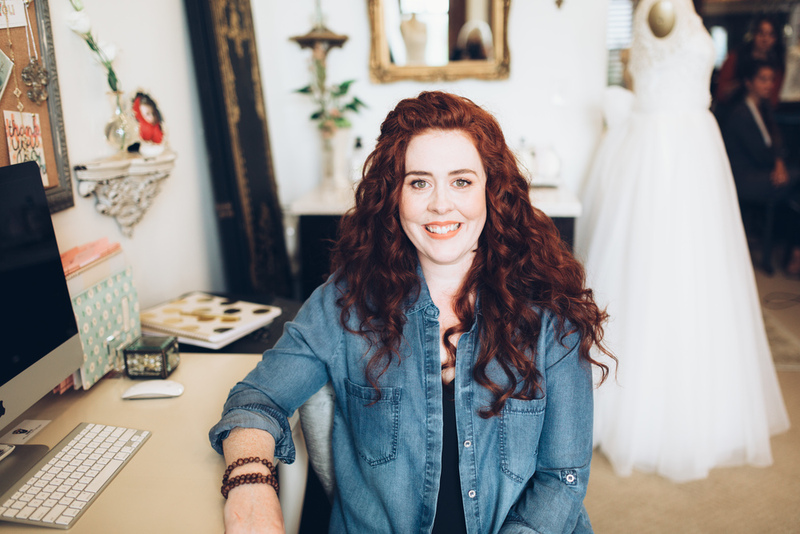 . . We are pleased to see the broader trend towards individuality and artisanal values filtering into bridal fashion. Modern women are seeking choices and a way to capture their individuality. In fashion as in life, we encourage women to do their own thing! Q. 5: Every day is different, which is a joy and a challenge. No one is keeping tabs on our time management and there’s no IT or maintenance departments to defer to. Out of necessity, we are Jill-of-all-trades, putting time and energy into overcoming any obstacle. 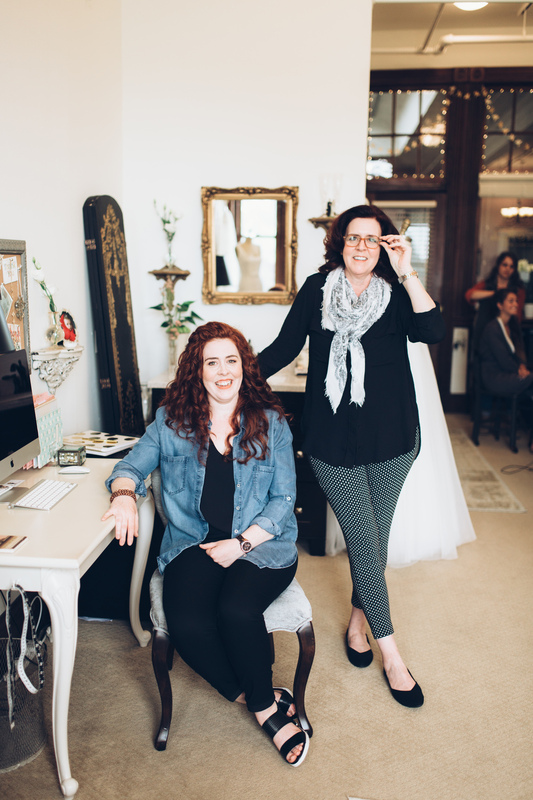 We ask those we trust for advice, but forge toward our goals through hard work, creative thinking, passion and an unwavering commitment to our brides. We are small enough to be flexible and still have big goals!! Q. 6: Actions speak louder than words (as they say). Four-year old Frankie (Maude is a great-great aunt—a cool & progressive lady in her time) spends many an afternoon “pinning” fabrics and watching as we draft dress patterns, build our online presence or file quarterly taxes. Develop a focused business plan. Be determined and decisive, yet ready to modify your path as your business changes and grows. Do research, identify your ideal client (with a little help from social media) and devote energy into perfecting your craft. Follow your intuition and totally believe in yourself!